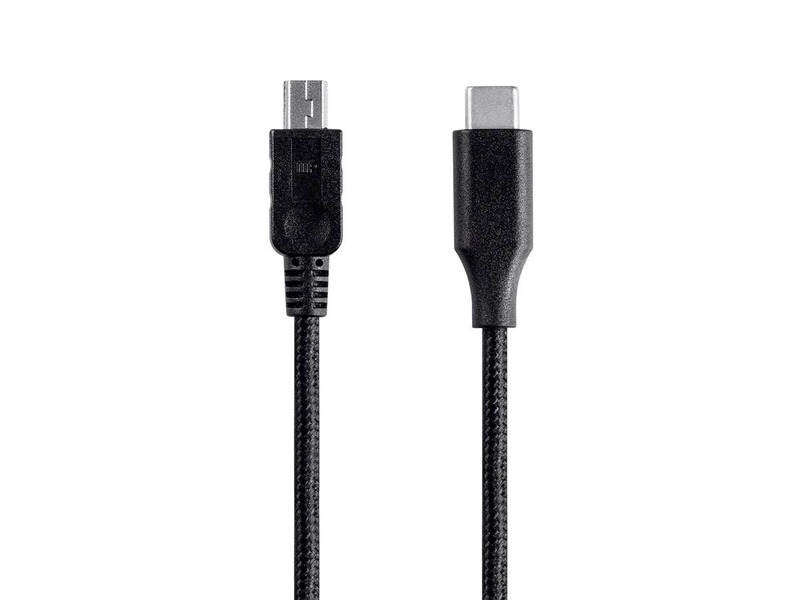 Is there a longer version of this cable available? in another series, maybe? 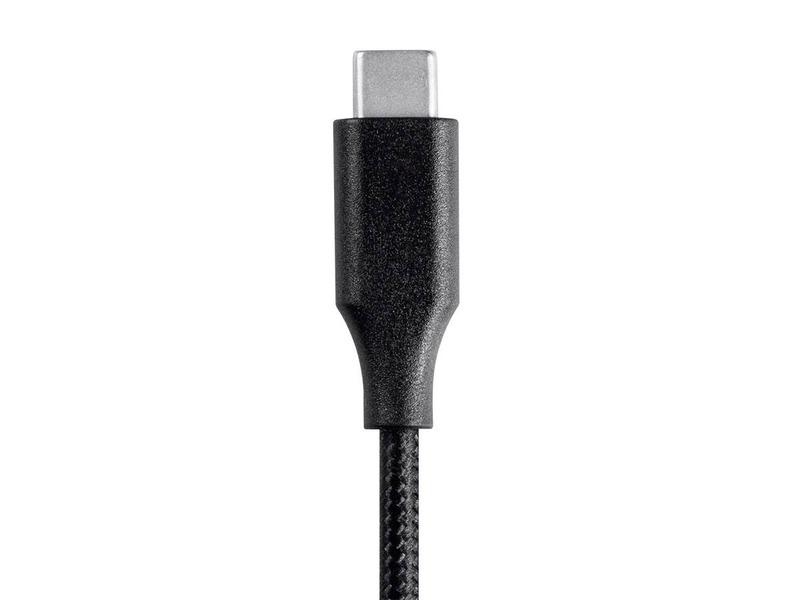 BEST ANSWER: Unfortunately we would only offer this cable in the 1.5ft length. 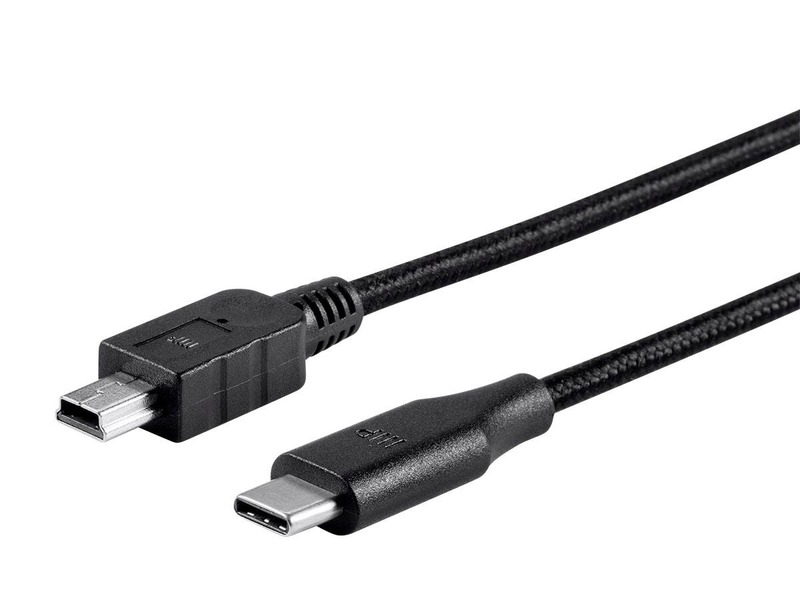 However, you would be able to use a USB C male to USB A female adapter (PID 14833) then add a USB A male to USB Mini-B male cable (PID 3896) to achieve a longer length. 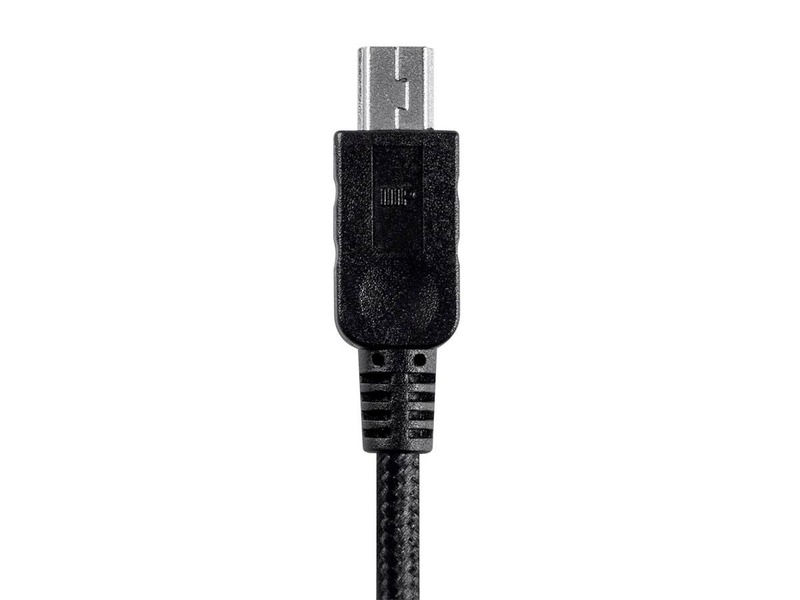 We have various lengths available for the USB Mini-B cable. 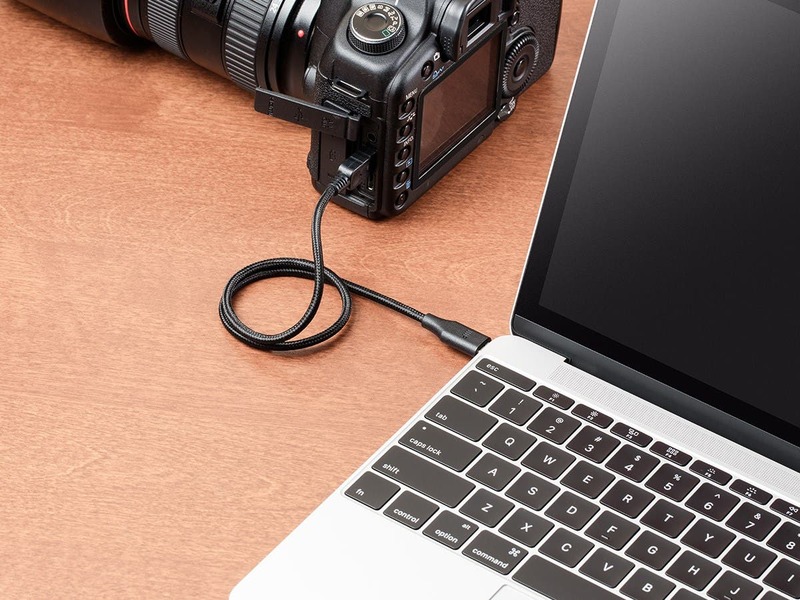 Does the Palette Series 2.0 USB-C to USB Mini B cable support OTG or have the 5th (ID) pin on either side? BEST ANSWER: Thank you for your question. This cable can support OTG no problem. 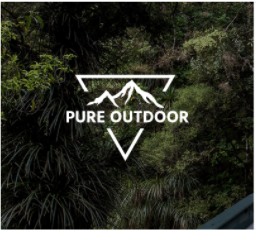 You would just want to be sure that it can plug into the device that you wish to use and that your mobile device supports OTG. I was trying to get a USB micro to USB C cable, but I accidentally ordered the mini. I don't quite know what I will use this for but it seems pretty decent. I like the braiding and connections. Also, I like that it comes coiled and not folded. Nothing is worse than a folded cable. Also, 1.5ft is pretty short. 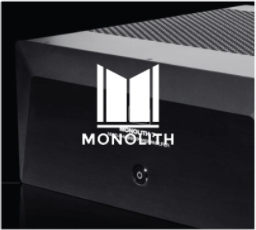 If you are reading this, you probably want the 3ft version, not the 1.5ft one. Trust me. Appears to be good quality and does perform as I need it to. This cable works great with my Zoom recorder. The length is just right. It's a cable. What more can I say? 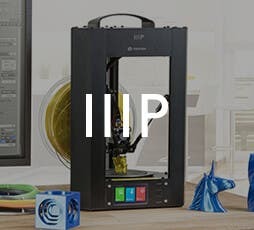 MonoPrice, you are my hero. Braided cable. Works, seems to be high quality. Nothing negative to say at all. I bought this cable to connect my peripherals to my new MacBook Pro that's only USB-C.
-My charger cable from Apple makes a tighter connection than this USB-C cable does. Still, it is NOT loose but it is worth mentioning.